Your Automobility hand controls will arrive in a 5"X 5"X 30"long box pre set ready to go into the vehicle they are ordered for. 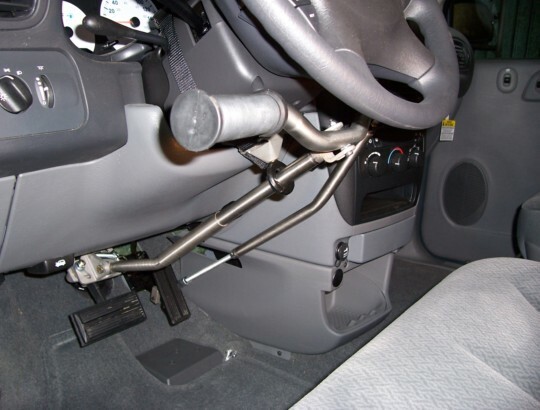 There will be a spec sheet showing exactly how to install them in your vehicle. A generic set of installation instructions will also be included.
. : IMPORTANT : .
. :Click Here to go to Step by Step System instructions : . This is the evolution of the 901 System. Extensive product development is the result of years of relentless scrutiny by the nation's leading car rental agencies and the most active of disabled travellers.
. : Hand Controls : . In the following pages you will be taken step-by-step into the installation of the 901 hand control system. Also you may want to check the on-line Data-Bank for detailed instructions on your specific vehicle.